An Isle of Wight camping holiday is a cheap option for families looking for a break during the school summer holidays. Camping came top in our guide to the cheapest accommodation options on the Island by some distance, because whilst prices at hotels and holiday cottages increase significantly during peak times, you'll find Isle of Wight campsites are still pretty affordable. Here is our guide to 20 of the best Isle of Wight campsites, along with a rough price comparison. We looked at prices for a basic 4 berth tent plot for two adults and two children (aged 10 and 12) from August 6th - 13th 2016 (prices checked in April 2016). We looked at the cheapest option, which was usually without electricity. 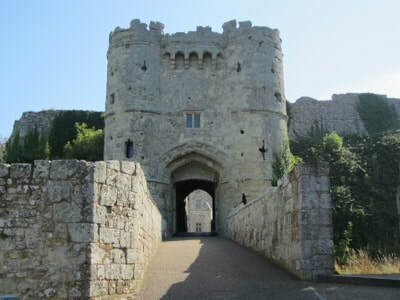 Isle of Wight camping around Sandown, Shanklin and Ryde is a good option if you want easy access to the Isle of Wight's busier seaside resorts. You'll find some of the best equipped holiday parks are around these towns which tend to be popular with families looking for ways to entertain the children. 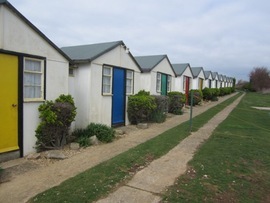 ​Holiday parks such as Whitecliff Bay and Landguard have facilities like swimming pools and sports pitches which are perfect for high energy children but perhaps less perfect for romantic couples trying to avoid children (although there are some quieter campsites in the East Wight if you head a little way inland). It's worth having a read of our guide to Which Isle of Wight Town Should I Stay In? if you aren't familiar with the different parts of the Island. 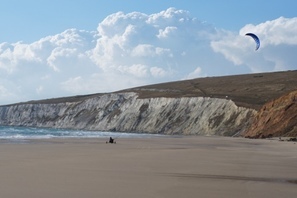 Location is king at Whitecliff Bay Holiday Park, which has access to one of the prettiest beaches on the Isle of Wight (as long as you can cope with a ridiculously steep slope). 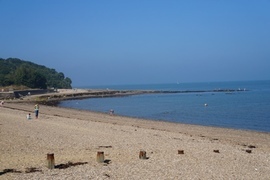 ​It is more towards the Isle of Wight's quieter area around Bembridge than the busier towns of Ryde or Sandown. The park and campsite itself is a well-equipped family friendly type with loads for children to do (as opposed to the quiet options which tend to have fewer facilities). There are indoor and outdoor swimming pools at Whitecliff Bay, as well as a sauna, sports lounge, bar, indoor playground, mini golf, outdoor adventure playground and shop. Dogs are allowed at Whitecliff Bay Holiday Park. I'd recommend getting a ferry inclusive camping pitch as that is usually cheaper than booking the ferry yourself (accommodation providers get preferable prices). It's one of the add-on options when you book. Price comparison: £220.15 (basic pitch, up to 6 people, shower and toilets). Nodes Point is one of the four Park Resorts/Parkdean Resorts sites on the Isle of Wight and it sits a little way outside of Ryde in the (arguably) prettier area around St Helen's and Priory Bay. 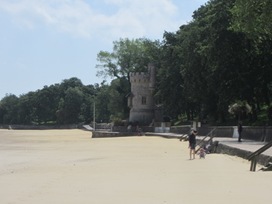 Ryde itself is very good for toddlers and smaller children with seafront amusements, a small cinema and other attractions. Nodes Point is a busy holiday park with an indoor pool, sports courts, bar and launderette, an adventure play area for children, restaurant and shop (Lower Hyde has slightly more facilities because it also has an outdoor pool and a sauna/spa). Price comparison:* £203 (basic camping pitch for a family of 4 people for a week in August). In my humble opinion, Lower Hyde Holiday Park is the best equipped Park Resorts/Parkdean Resorts holiday park on the Isle of Wight (and perhaps the best equipped of all the Isle of Wight campsites). Facilities include indoor and outdoor pools, a sauna/spa, sports courts, an adventure playground, restaurant, bar, launderette, darts and pool. 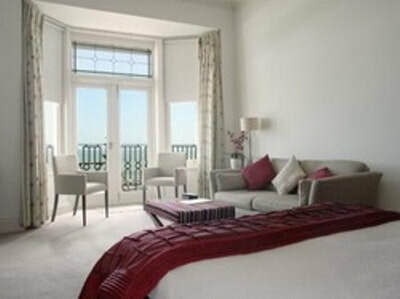 It isn't right by the sea, but it's only about 20 minutes walk away from Shanklin beach which is good for children with things like seafront minigolf and amusement arcades. For an extra £3 per dog, per night, you can bring pets along as well. It's another Park Resorts/Parkdean Resorts site which has lots of static caravans, but it also takes campers and is fairly near to Shanklin beach (Lower Hyde is their other site in the area). It's another one to consider if you want a busy park with lots of things for younger visitors to do. There are indoor and outdoor pools, a restaurant, playground, launderette, shop and bar. It doesn't seem to have a sports area, unlike similar sites at Thorness Bay, Nodes Point and Lower Hyde. 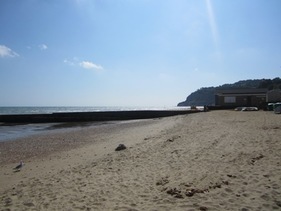 It's about a 20 minute walk from Shanklin's busy seafront. Shanklin also has a train station which connects with the passenger ferry at Ryde Pierhead. Landguard Holiday Park is one of the Isle of Wight's most popular dog friendly campsites. Price comparison: not available when we searched, but it is a Park Resorts/Parkdean Resorts site so expect it to be around £200. Southland campsite is about 10 minutes drive inland from the sandy beach at Sandown. There's a toilet and shower block alongside a large playground and ball game area. Southlands is mostly for caravans but they have some spaces for tents as well. Whitefield Forest is an Isle of Wight campsite in a forest setting near Ryde, so it will be popular with nature fans who are looking for the resident red squirrels. Facilities are limited to a small shop on site and shower blocks, so one to consider if you want a week closer to nature rather than a week sliding down flumes and hitting red golf balls into a windmill. Carpenters Farm is a rural 16 acre site near St. Helens with play area, charging points, shower block and toilets. Another one which came out as one of the Isle of Wight's cheapest campsites in our test, although we only looked at one particular week in August 2016. This one is a Camping and Caravanning Club site, although it is also available to non members. 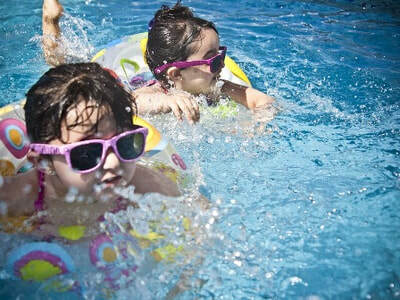 Facilities include a launderette, shop, play area, swimming pool and fishing. It is in Adgestone, which is a little way inland from Sandown. Roebeck Country Park is a family run rural Isle of Wight camping park in 14 acres of land towards Ryde, so nice and near to the ferry from Portsmouth. There are lakes for fishing which will appeal to dads who have been secretly trying to plan an angling holiday. The kids can be entertained in the space for ball games and there is a picnic and barbecue area for meals. Shower blocks are also provided. Ninham Country Holidays Park is slightly inland, towards Shanklin (personally I prefer Shanklin to Sandown but others will disagree and they are very near to each other). There are decent facilities across its 18 acre site with a swimming pool, sports area, showers, games and TV room. Keen on sustainability so recycling is compulsory and bikes are recommended for getting around the campsite! 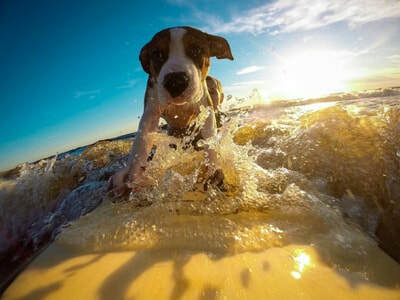 Some parts don't allow dogs in summer season. Kite Hill Farm is a simple campsite at Wootton Bridge, part way between Newport and Ryde. It is a 12 acre site and describes itself as 'traditional'. Facilities include a children's play area, toilets and showers, washing machine and tumble dryer. Nice and near to the Portsmouth to Fishbourne ferry port if you don't fancy a long drive on Island (although to be honest, there's no such thing as a long drive on the Isle of Wight unless you get stuck behind a tractor). Price comparison: £154 (includes electric hookup). The West Wight is a quiet spot for some Isle of Wight camping with a small population (more animals than people I would guess), lovely crumbly cliffs full of fossils, beaches for water sports and not much else. If you want amusement arcades and McDonalds on your doorstep, don't stay in the West Wight. If you want to admire nature, see the stars at night and live the simple life then it's a great option. The West Wight is probably my favourite part of the Isle of Wight, but don't tell the rest of the Island that I said that. Rural campsite near Freshwater with views towards the Solent. There is a barbecue area, dog walking area, showers, toilets, wheelchair accessible shower and toilet. Orchards is a family owned rural holiday park in Newbridge, which is a little way inland in the West Wight. Facilities for campers at Orchards Holiday Park are more than most Isle of Wight camping sites offer with a shop, take away food, indoor swimming pool, coffee shop, playing field, pool table, table tennis, play area, dog walking area. Optional extras such as discounted ferry travel are available (you might also like to read our discount Isle of Wight ferry travel guide). Stoats Farm is a family run Isle of Wight campsite near to Freshwater Bay, Tennyson Down, Alum Bay and The Needles. Facilities include toilets, showers, washing up area, barbecue, shop, lending library, phone charging point, fridge. Grange Farm is a coastal campsite on the quieter west side of the Island, so worth considering if your idea of the perfect Isle of Wight camping holiday is looking at the stars and walking along a quiet beach (rather than eating chips in a soft play area on the Pier). There is a launderette, hair dryer, hot drinks and hot water for showers. Bundle deals including Wightlink and Red Funnel available (check out our ferry guide for other ferry deals). Old school 'Heidi Hi' campsite with indoor pool and quirky huts. 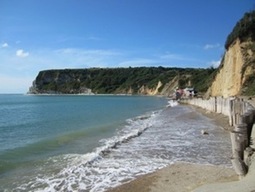 Cliff top location along the quiet but stunningly pretty West Wight coastline. 10 acre site with play area, launderette, ironing (just so you can look your best on the campsite), kitchen, toilets, hot showers and a small shop. Pretty location in the unspoilt West Wight near the rolling hills of Afton (home of the 1970 Isle of Wight Festival) and the cliffs and surfing of Compton Bay. There are old tractors to play on, ducks to feed and eggs to collect for those looking for ol' fashion fun. There are also showers, toilets and a small laundry. Chine Farm Camping Site is on the Isle of Wight's pretty Military Road which runs along the south west coastline. There is space for up to 100 tents, with gorgeous sea views from the clifftop location. Facilities include toilets, showers, wash basins, laundry service, play area and games field. Thorness Bay is the cheapest Park Resorts/Parkdean Resorts holiday park in our comparison, so it's worth considering if you fancy a bit of Isle of Wight camping alongside family friendly facilities. The beach at Thorness Bay is fairly scrubby but has stunning sunsets and is popular with fishers. It backs onto a nature-reserve-type area which is good for exploring. Facilities at Thorness Bay include an indoor swimming pool, sports court for youngsters to burn off energy, an adventure play area, restaurant, bar, shop and launderette for washing your smalls. Thorness Bay allows dogs on their campsite for a small charge (£3 per dog, per night). Waverley Park is a busy campsite and holiday park in East Cowes (as opposed to Cowes which is where Cowes Week is held). 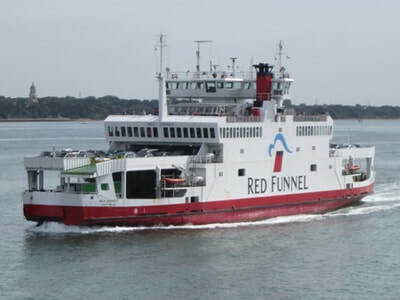 It is only a couple of minutes from the Red Funnel car ferry, so certainly convenient from Southampton. The park has more facilities than many, which generally means it will attract families looking for somewhere for the children to burn off energy. 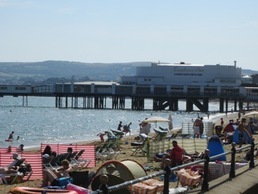 There is a bar with nightly entertainment and views of the Solent, an outdoor pool in the summer months (can't imagine you'd want to use it in winter anyway, unless you fancy ice skating), a children's play area, showers and washrooms. It's also close to a fairly large public playground on East Cowes Esplanade. Windmill Campersite is a couple of miles out of Newport in the Bowcombe Valley area. ​It's on the very edge of the West Wight where it suddenly gets rural as you drive out of Carisbrooke. 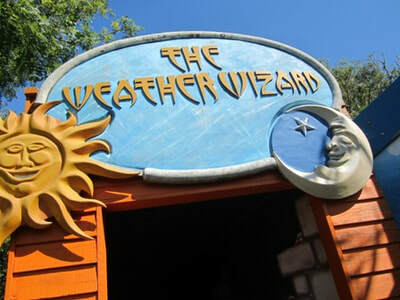 The site is one of the quirkiest on the Isle of Wight with a solar powered musical shower and a barbecue called Bertha. As well as their strange glamping options (there's a helicopter called Galahad you can stay in ) they also have space for camping and motorhomes/campervans (up to 7 metres). Facilities are fairly basic, but they do have some posh toilets. There aren't many campsites in the South Wight (the area around Ventnor, Niton, St Lawrence and Whitwell. It's a really lovely part of the Island, which feels more remote and perhaps even foreign compared to towns like Ryde and Newport. Appuldurcombe Gardens is a slightly inland site towards the south of the Isle of Wight (heading towards Ventnor) with shop, cafe, bar, play area, outdoor heated pool, launderette and showers. It is also near to the rather grand Appuldurcombe House, which is a partially restored stately home which hosts weddings. The phrase 'hidden gem' is applied to anything that doesn't have a neon sign nowadays, but camping at Ventnor Botanic Gardens isn't widely known about. The park itself is obviously very well known, as it is a special collection of various plants and flowers which wouldn't normally grow in England. *We looked at prices for a basic plot for two adults and two children (aged 10 and 12) from August 6th - 13th 2016 (prices checked in April 2016). Obviously this is just one week, and so the results may well we different at different times of year. We looked at the cheapest option, which was usually without electricity. ​We didn't search around for discount codes and special offers. Some campsites include a discount for members of clubs, such as the Caravan Club. We looked at the price for non-members. We also excluded campsites that are exclusively for members of subscription clubs (such as the certificated sites offered by the Camping and Caravanning Club) and adult only campsites (such as Riverside Paddock or Rosemary Vineyard which is 14+), because our criteria included children. 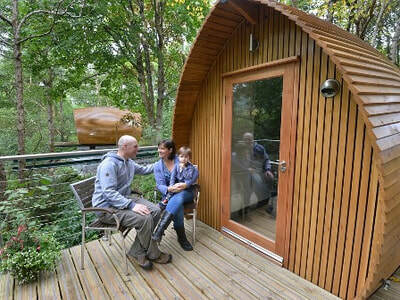 We also excluded Glamping as that is more akin to self catering holiday cottages in my mind and isn't a fair comparison because you are paying to hire accommodation provided by the owner rather than a patch of grass with facilities. Landguard Holiday Park was unavailable when we searched, but expect prices to be about £200 as that is the price of similar Park Resorts sites on the Isle of Wight.